What does Amazon look for in a Product Manager? How can I best highlight my skills to get noticed? I'm an Application Dev Manager and was wondering which top themes/skills/areas should one focus on highlighting in their resume while trying to target a Product Manager or Technical Product Manager role at Amazon? Would you mind shedding some light on whether you think Amazon Product Managers, and in general, conduct the proper quantity and quality of UX Research? Also, what are your thoughts on relying on internal resources to do the research versus neutral outside perspectives like consultants? Does Amazon have both tech and non-tech Product Manager roles? As a Product Manager, do you have daily meetings with the whole team? Any advice on how to prepare for Amazon Product Manager or TPM roles? Two questions, you can pick one that resonates more: - How do you outline the annual or quarterly team goals/OKRs that are tied to the company goals? - How do you determine the product goals that you believe have the strongest impact to business KPIs? Amazon has amazing access to understanding customers through quantitative data. Can you speak to how Amazon values in-person (old-fashioned) research in understanding customers? Since you onboard a lot of 3rd party sellers, how do you gauge each of their product requirements? Do you communicate with each of the 3rd parties? What tools do you use for that? What is your professional goal as an Amazon Product Manager? What advice would you have for a new grad that is non-technical but looking to break into Product Management? What do you think are the best ways to showcase your work to win a PM job? Did you make something like an online portfolio? What's the Product Management community look like in Europe? What kind of background preparation would you recommend for an aspiring Product Manager? Is there any online course or something similar? I'm a recent UX Design and Business graduate wondering whether I should pursue PM or UX Design. How involved are the marketing and UX teams and will my background be very useful in a PM position? How would you advise moving up in an existing PM role, given the company only has a two-person product management team? Is it better to be a PM for an entire product, or a PM for a specific duty of a product? What skills/talents do you see as separating great Product Managers from good Product Managers? I want to build the necessary skills and/or background needed to move into a Product Owner/Management role. I currently hold a computer systems analyst diploma but was considering either doing a bachelor's in software engineering or something business-related. Would you say that one would be more beneficial than the other? 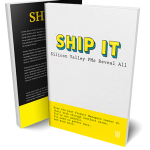 How do you trade off between User Experience and Engineering challenges when attempting to ship the feature quickly? How did you bridge the domain knowledge gap in terms of resources used, skills built, and time? What are your ways to hack into learning fast about a domain? I’m an Application Dev Manager and was wondering which top themes/skills/areas should one focus on highlighting in their resume while trying to target a Product Manager or Technical Product Manager role at Amazon? 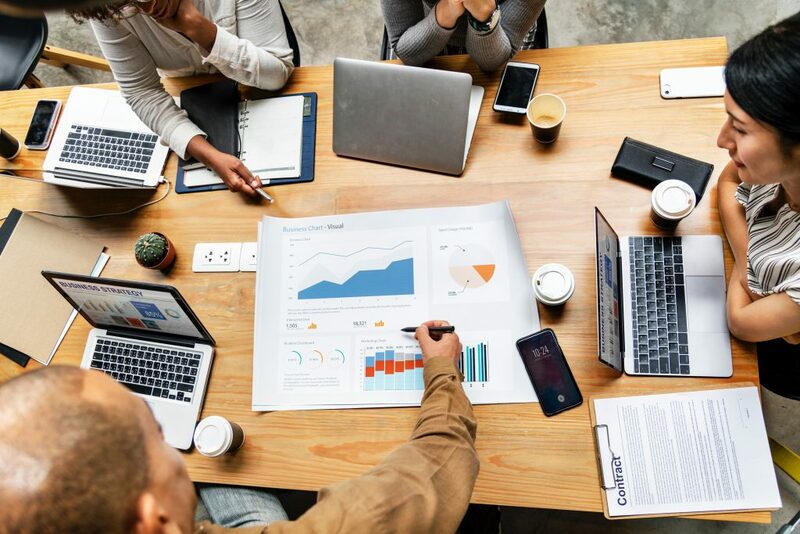 Two questions, you can pick one that resonates more: – How do you outline the annual or quarterly team goals/OKRs that are tied to the company goals? – How do you determine the product goals that you believe have the strongest impact to business KPIs? What do you think are the best ways to showcase your work to win a PM job? Did you make something like an online portfolio? What’s the Product Management community look like in Europe? I’m a recent UX Design and Business graduate wondering whether I should pursue PM or UX Design. How involved are the marketing and UX teams and will my background be very useful in a PM position? I want to build the necessary skills and/or background needed to move into a Product Owner/Management role. I currently hold a computer systems analyst diploma but was considering either doing a bachelor’s in software engineering or something business-related. Would you say that one would be more beneficial than the other? 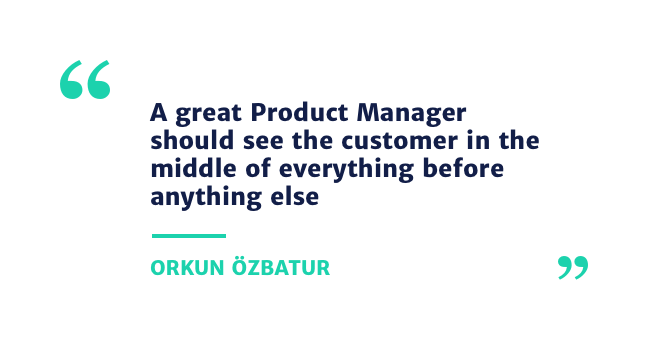 This week, Product School’s #AskMeAnything session welcomed Amazon Product Manager, Orkun Özbatur! Orkun is an experienced Senior Product Manager with a long history in online business. He started his career in Digital Content and evolved into a Digital Product Manager. Now, he’s the leading Amazon Product Manager for their EU seller experiences. Curious about how Product Managers have broken into and mastered their roles? Then join our Product Management Slack Community and ask them! Orkun Özbatur has diverse Product Management experience in the e-commerce and travel industries. 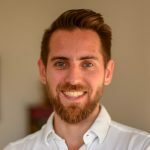 Currently, he’s the Senior Product Manager at Amazon Europe and he manages the onboarding and experiences of third-party sellers. Prior to that, Orkun worked at Emirates Airline managing different product portfolios and launching global digital experiences in loyalty, brand awareness and content. He’s extremely passionate about innovation and how technology can generate solutions in our daily lives, as well as, building rock-solid teams to create these solutions. Amazon looks for people who can drive products from ideation all the way to the delivery, strong analytical understanding, and huge stakeholder management. Amazon’s hiring system particularly focuses on its principles and candidates are asked to share their experiences around those principles. Being a dev manager, you may already have the competitive advantage in some areas. You may need to improve the understanding of the customer and business needs; as well as stakeholder management. Eventually, you should be able to capture the market needs, convince relevant decision-makers, and convert them to development requests. I believe that in Amazon, UX research (or user research) is super crucial and you cannot do anything without quantifying your hypothesis. This also highlights carefully taken steps in ideation. I think internal vs external is all about the resourcing; I worked in both way and neither is better than the other. Amazon has both technical and non-technical PM roles. That’s depending on a product’s core requirement. We do have many team meetings, not only face to face but also online or over the phone. My stakeholders are from China to the US; hence stand-ups are not always possible as you can imagine. 😊 However, information sharing is always constant. Focus on the STAR technique; identify great examples, quantify the results and study them well. – How do you outline the annual or quarterly team goals/OKRs that are tied to the company goals? – How do you determine the product goals that you believe have the strongest impact to business KPIs? The company has a vision and strategy, and those are turned into leadership level goals (Jeff level 😉). The business areas feed into leadership goals and, depending on the department/team structures, almost all individuals should have personal goals. They are all calculated based on the potential impact of product improvements and new features. Of course, return on investment is one of the most important elements. Eventually, all goals are tracked every week, so you have a constant review on the progress. Customer interviews and usability studies are also as important to on-site behavioral data. Both are conducted very frequently to support quantitative data. The seller feedback is crucial. We use surveys and in-depth interviews. Seller conferences are good opportunities. And depending on the need, we may approach the sellers directly. On the marketplace platform (Seller Central), there are also survey and feedback tools where we can get anecdotes from specific topics. I also have a business background; but I’ve been in the coding kitchen for a long time, working shoulder to shoulder with developers. Understanding the customer is a very important element for a PM and conveying that message to developers is also an absolutely required skill. I suggest improving your basic coding understanding and attain technical insights. There are many great free online resources. The best way of showcasing the value you bring is to show the impact you’ve had. Online portfolios may not be as easy as for a non-designer, however, you should be able to talk about how you improved the product you managed; for example, a year-on-year increase while launching new features. The Product Management community in Europe is big and getting bigger day by day. Many cities are start-up hubs and create shiny unicorns. I also suggest gaining knowledge about development methods (such as agile delivery, scrum, etc), how to capture customer insights (primary market research) and some UX/UI elements. That might be depending on the product area you focus. With UX background you can manage products which focuses on the pure experience side of it rather than backend. Managing an entire product may provide the full view on what’s happening. However, if possible, I would suggest starting from PM’ing specific duties and rotate around them. Eventually, you would be the expert for all. Fantastic question. I bet everybody’s answer changes, but I believe a great Product Manager should see the customer in the middle of everything before anything else. A sustainable product or product feature should take the roots from the user and the PM should identify it no matter what! You should even leave business goals aside when needed. That builds the vision! A great PM should also be persistent when he or she needs to convince others. I don’t believe CS is more important than business or the other way around. It is all about how you position and equip yourself. Both areas are very valuable to launch and to drive strong products. I suggest gaining a 360-degree knowledge. Getting a software engineering degree will definitely help you to understand the development process better; but don’t forget, you won’t really code when you’re a Product Manager. The fastest way of bridging the gap is to ask the right questions to the right people. As an Amazon Product Manager, you need to be quick to grasp the knowledge and I believe that starting with asking people and learning from their experiences and knowledge is the best. Be extremely curious. We should ask why, why and why again and again. Build a vision from the root cause. Don’t forget everybody has ideas, however, what really matters is having ideas to solve real problems, otherwise, they are not sustainable. Be a customer yourself. That’s the best way of understanding what your customers/users are going through!